Consider The Duke Company your partner that can assist you with all your construction needs. We offer expert advice from our highly rated customer service. Furthermore, we offer the best values and fast delivery. For exceptional customer service & the fastest delivery in Upstate New York, call us for a prompt rental quote. We welcome any questions or concerns you may have regarding your project and equipment rental questions. For example, we recently received a question via our quick quote portal regarding the MLC-18-LiftSmart-Construction-Pro-Series rental. We were happy to accommodate his project needs. Call the Duke Company for all your construction equipment needs – including a wide variety of construction equipment rentals. Winch: 2 speed and equipped with a dual handle. Lift Height – Standard forks-up: 18 feet, 6 3/8 inches. 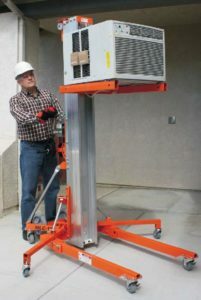 Lift Height – Standard forks-down: 16 feet, 10 inches. Lift Height – Boom: 17 feet, 10 inches. Height stowed: 7 feet, 2 3/4 inches. Fork Width = 23 inches. 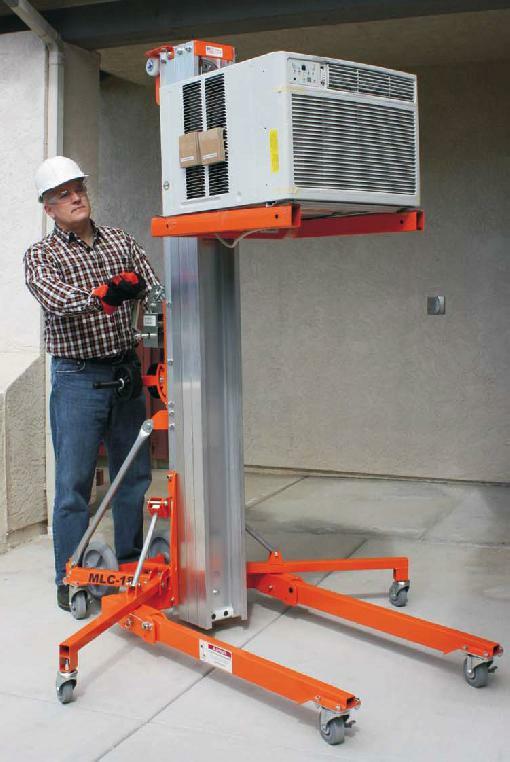 The LiftSmart MLC-18 portable material lift is sought after by rental customers for its tremendous productivity durability, single-door access, versatility, ease-of-use, transportability and storability.